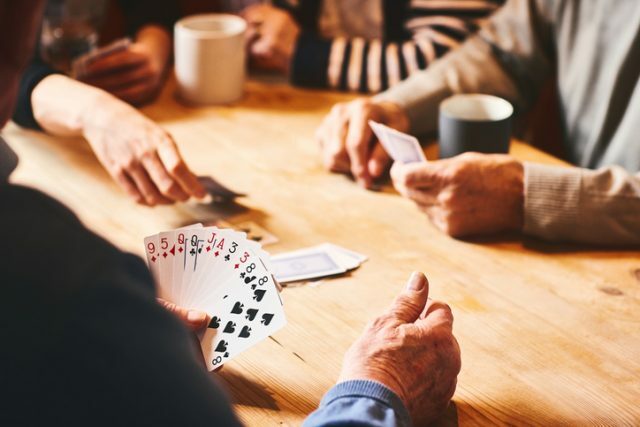 Most people have encountered playing cards at one point or another in their lives, from children playing snap to people joining bridge teams and workers whiling away their commutes with a game of patience. 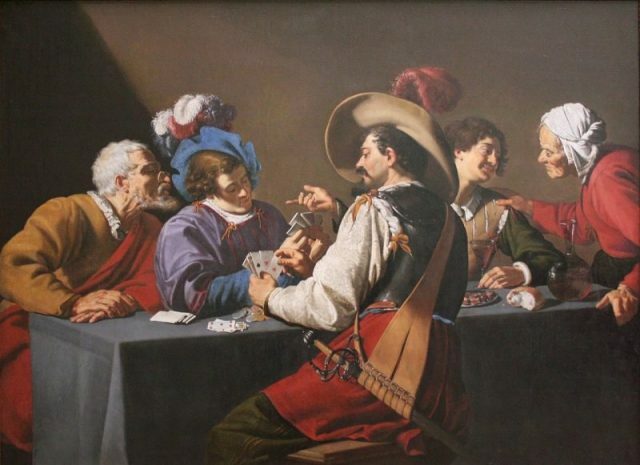 Plenty of historians argue about who really invented the first playing card. Some say it was the Chinese with their game of “piper tiles”, others claim cards came from Arabia as a “Saracen’s game” in the 14th century. Still others suggest that fortune-telling cards from India were what kicked it all off. Whatever their provenance, there’s no argument about how popular they became, especially when the invention of printing presses made it so easy to produce them. 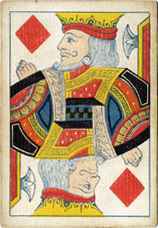 A set of playing cards are divided into “suits.” The suits we are most familiar with today are hearts, diamonds, clubs, and spades. However, in the past, suits could also include cups, swords, clubs, and coins. Each card will bear a number of “pips.” These symbols denoted not only the suit of the card, but also the value. A card with seven pips would be worth seven points. 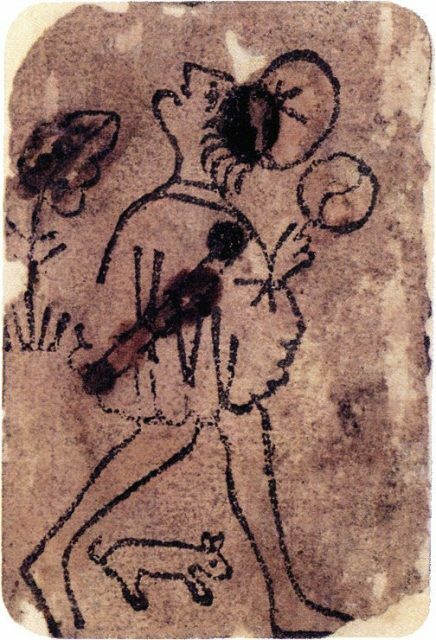 Knave of Coins from the oldest known European deck (c. 1390–1410). There is a lot of debate about the meaning behind existing and previous suits. For example, some thought that the symbols might represent levels of society. Cups were for the clergy, swords for the military or nobility, coins for the merchants, and batons for the peasants. However, Paul Bostock, a council member of the International Playing-Card Society told The Atlantic that he believed the choice of suits in a deck might reflect the tastes and interests of the nobleman who commissioned them. While suits might have changed throughout the centuries, “face cards” (those with pictures on them) have remained relatively unchanged. 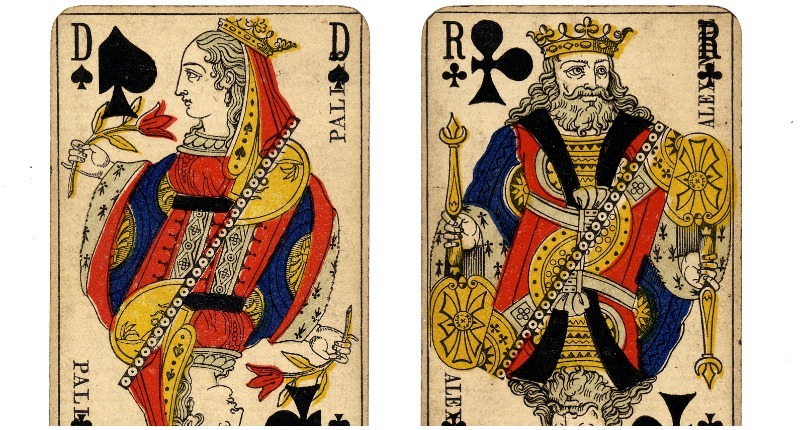 For example, the four king cards in British and French decks have for a long time represented Charles, David, Caesar, and Alexander the Great. Queens were not so enduring. In Spain, they were even replaced by caballeros (knights). 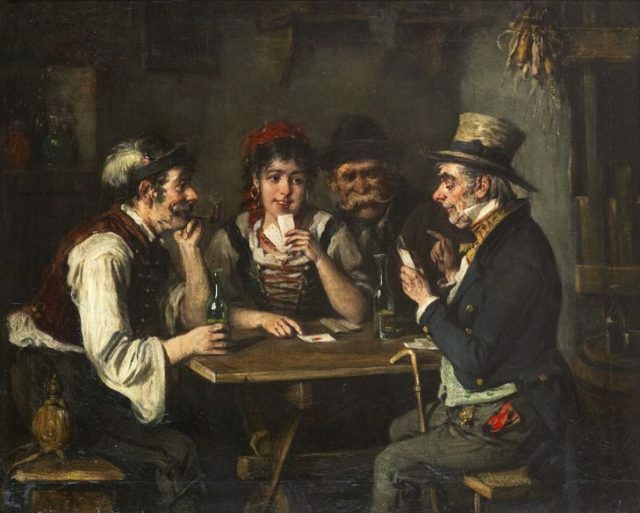 The modern-day “jack” card came about when the Germans completely removed queens from their card decks and instead had kings, upper men (obermann), and lower men (untermann). The lower men cards became jacks. 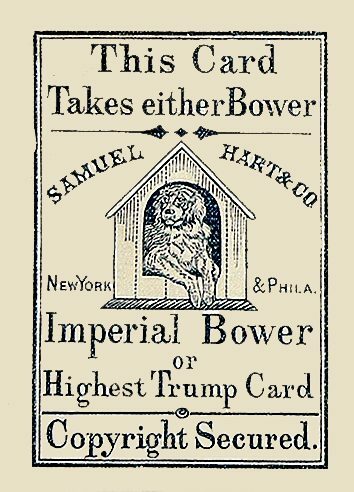 Imperial Bower, the earliest Joker, by Samuel Hart, c. 1863. Originally designed for use in a specific variant of euchre, it contains instructions for unfamiliar players. The ace found its way into the deck through political means. In 1765, England imposed a tax on playing cards. 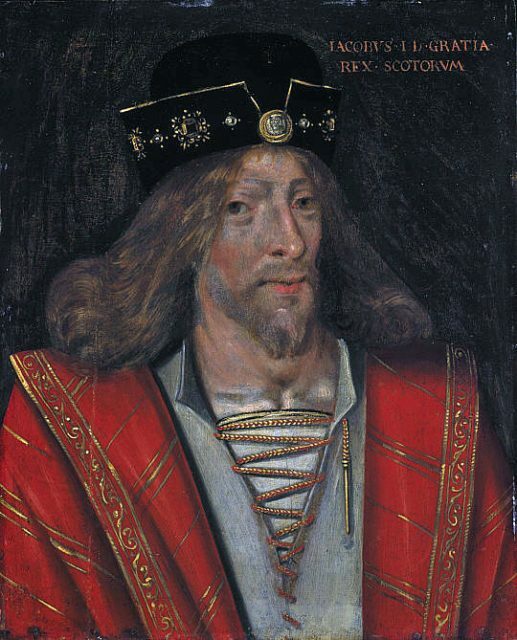 King James I of Scotland required all companies printing cards to pay a new stamp tax. The ace of spades was stamped on a single card to indicate the tax had been paid. The printing house’s insignia had to be contained within the symbol, which is why the ace of spades is sometimes much larger and bolder than the other ace cards. Even though the tax was abolished in 1960, the tradition of having aces in a deck has continued. For almost 500 years, while the face of the cards might be elaborate and artistic, their backs were just plain. However, in the early 19th century, simple prints (such as dots or stars) were put on the back of cards by the British printer Thomas De La Rue & Company. This innovation was welcomed by gamblers everywhere. While a plain-backed card would show up any marks or smudges, those with patterns could hide little marks or hints that would help a card-sharp keep his secrets. The King of Diamonds from a De La Rue pack c. 1860. Later still came the user-friendly idea of having numbers and letters in the top corners. This meant that a player could hold the cards in a fan and still be able to tell the value and suit of each card in his hand. While cards have often been associated with pleasure and pastimes, they have also had their share of controversy. It’s no surprise that, given its historical stance on gambling, the church denounced these cards as “the Devil’s picture book.” They claimed that indulging in such pastimes would only bring a person closer to depravity. Certainly, there are those in history who have put playing cards to more magical uses than simply a game. 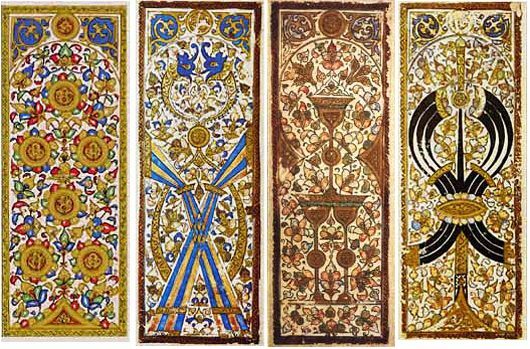 Around 1440 in Italy, some decks incorporated an extra 22 cards to create tarot games. These cards were used as “trump cards” to play tarot (Britain and France), tarrocco (Italy), or tarock (Germany). However, in the late 1700s, these cards moved from the gaming table into the realm of divination. The suits of hearts, spades, clubs, and diamonds became cups, swords, wands, and pentangles respectively. Tarot cards are divided into the minor arcana (the suits mentioned above) and the major arcana. The latter consists solely of picture cards – but instead of kings, queens, and jacks, there is the magician, the high priestess, the lovers, the hanged man, and death, to name but a few. Playing cards have been around so long that no one can remember how or when they first surfaced. They’ve been changed throughout the years and adapted to society to remain relevant. As they continue to evolve with companies such as Top Trumps cornering the market on educational card games, it’s clear that card decks are still as popular now as when they were first invented.